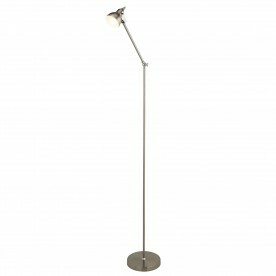 Brighten your home using this retro style satin silver floor lamp. 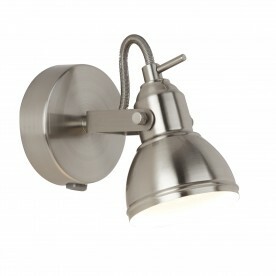 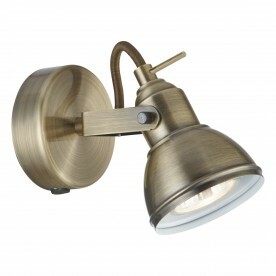 The direction of the light is adjustable, as the body has a screw which can be loosened; allowing the body to be tilted. 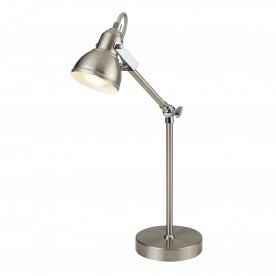 Perfect for a living room or office.